EndoBarrier - What is the EndoBarrier? 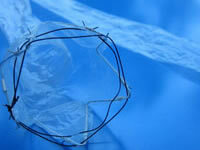 The EndoBarrier is a medical device for the treatment of type 2 diabetes and obesity which is worn inside of the body. It is a thin plastic sleeve which lines the first 60cm of the small intestine, causing food to be absorbed further down in the intestine. The body reacts to food in a different way when the first part of the small intestine is blocked. This helps aid weight loss and reduction of blood sugar levels in patients with type 2 diabetes. EndoBarrier therapy is available from the National Obesity Surgery Centre. The EndoBarrier can be fitted at London, Manchester and Southampton. Would anything rule out having the EndoBarrier? How much would the EndoBarrier cost? The process would likely cost in the region of £7,000. In a previous 12 month study, participants lost an average of 3.5 stones in weight (22 Kg). 83% of patients with type 2 diabetes experienced a decrease in their HbA1c to under 7.0%, with a considerable percentage of these people able to come off their diabetes medication altogether. The fact that digestion is delayed by the sleeve, changes the way the body’s hormones are activated, which helps the body feel full and improves glucose tolerance. Are there any side effects of having the EndoBarrier? In earlier trials, the EndoBarrier had to be removed, in a small percentage of cases, after becoming dislodged. However, the sprung anchor has since been improved.